This year saw a spike in terrorist plots hatched by Americans. Former Homeland Security chief Michael Chertoff assesses the danger—and how we can battle the enemy within. This past year has seen a spike in the number of American citizens and residents arrested for planning or carrying out terrorist acts. At the end of the summer, federal agents arrested Najibullah Zazi, an Afghan-born bus driver, for plotting a domestic terror attack, probably in New York City. Since then, a group of Somalis have been charged with recruiting young men in the United States to fight on behalf of an al Qaeda-linked group in Somalia. More recently, five Americans were arrested in Pakistan after apparently seeking to fight with Islamist militants in South Asia. But the two most serious cases involve American residents who actually carried out or assisted successful terror attacks. In November, Major Nidal Malik Hasan, a U.S. Army psychiatrist, killed 13 and wounded 32 others in a shooting spree at Fort Hood, Texas. Hasan's writings, and disturbing communications with a radical cleric based in Yemen, indicate that these killings were motivated by Islamist extremist beliefs. And American David Headley (formerly Daood Gilani)—arrested this past month—is now believed to have conducted pre-operational surveillance in Mumbai in advance of the deadly 2008 attacks in that city. The spate of recent arrests reflects a spike in the number of homegrown terrorist plots. Ten of the 30 homegrown terror plots uncovered since the 9/11 attacks have surfaced in the past year. For years, Americans have focused primarily on overseas-based terrorists as the main threat to our security here at home. But these arrests have raised the question whether the threat from our own countrymen is becoming as significant as that posed by foreigners. Because so much of our security effort over the last few years has been focused abroad or at our own borders, are we now getting more vulnerable to an attack from within? Generally, homegrown terrorism refers to attacks or conspiracies carried out largely by citizens of the country which is being targeted. Often these plots are connected to the overseas safe havens were al Qaeda and other international terrorist groups are based. But some homegrown terrorists may have only casual, Internet-based communication with terrorists overseas. And some may be pure “lone wolves” who radicalize themselves and carry out their attacks with no outside assistance or support. Is American homegrown terrorism a new phenomenon? Actually, we have seen some American involvement with militant Islamist radicalism since before September 11, 2001. Americans were captured overseas with the Taliban. In the years after 2001, plots were disrupted in northern New York and the Pacific Northwest that involved American residents who had some contact or training with overseas radicals. More recently, federal authorities disrupted domestic plots aimed at New York's Kennedy Airport and Fort Dix in New Jersey. But the spate of recent arrests reflects a spike in the number of homegrown terrorist plots. Ten of the 30 homegrown terror plots uncovered since the 9/11 attacks have surfaced in the past year. How serious is this development? Based on the experiences of Britain and other countries, the development of homegrown terrorism can result in a significant intensification in the nature and increase in the volume of threats. Homegrown terrorists are not likely to be stopped at the border; they may never cross a border. As citizens or legal residents, they can move freely inside the country and are sufficiently familiar with the local culture to be indistinguishable from the mass of innocent citizens. Homegrown terrorists are also likely to have a better sense of vulnerable targets than are terrorists operating from overseas. What is to be done? If this trend continues, we could see a slow but steady growth in homegrown extremism, which would tax our ability to disrupt plots as we have successfully done in the past. To combat this increase in radicalism, we need to take several steps. First, we must increase our ability to collect information on homegrown groups. This means educating local police and ordinary citizens in the signs of extremist radicalization so they can serve as an early warning system. Many of the homegrown plots disrupted in the past have relied on this kind of advance notice. Second, we need to continue to enlist community leaders in the struggle against ideologues who seek to recruit young Muslims into extremist beliefs. Radical militants do not represent mainstream Islam; their doctrine reflects a distortion of a great religion. But only Muslim leaders can persuasively demonstrate to their own communities how misguided the fanatics are. That is why Muslim community outreach has been a key element of our national counterterrorism strategy since the Sept. 11 attacks. Defeating homegrown terrorism means shrinking the pool within which the extremists try to recruit. Finally, homegrown terrorism remains a comparatively modest phenomenon in the United States as compared with other countries. That reflects this nation's traditional acceptance of immigrants and ethnic groups as full participants in our society. Our history of social integration and religious tolerance are important defenses against homegrown terrorists. We should be careful to maintain these traditional values even as we address new efforts by our enemies to establish footholds here at home. 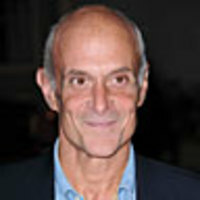 Michael Chertoff was the second Secretary of Homeland Security. He previously served as the assistant attorney general for the criminal division at the Department of Justice. As assistant attorney general, he oversaw the investigation of the 9/11 terrorist attacks. He is currently senior counsel for Covington & Burling LLP's Washington, D.C. office and a member of the white-collar defense and investigations practice group.